Three years after the tragic crash of a plane carrying the Lokomotiv Yaroslavl hockey team, which led to death of 44 passengers, one of the victims will be honored with a documentary film. 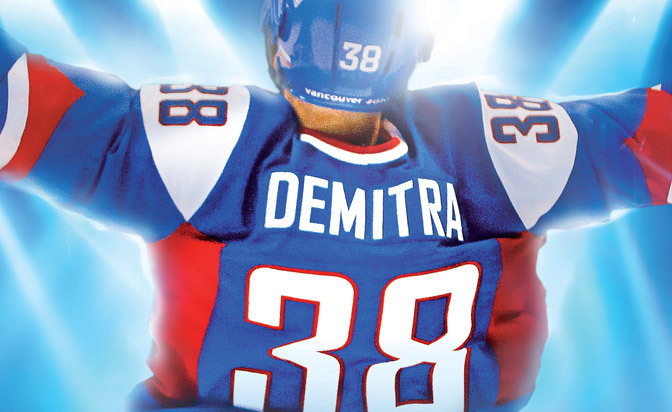 The film, "Pavol Demitra: 38," will premiere in Trencin, Slovakia on Sept. 7, the three-year anniversary of the crash. Four days later, it will be shown in movie theaters across the country. Demitra, who played in the NHL from 1993-2010, was a Slovak hockey legend and one of the biggest stars in the Kontinental Hockey League. The film was produced by actor and director Daniel Dangl, who is famous for his work as producer of a stand-up comedy called "Particka." The show is similar to the American sketch comedy "Whose Line Is It Anyway?" and is a hit in Slovakia and Czech Republic. This time, Dangl dared to venture into a much more serious genre. "I was always interested in serious stories. The second thing is, [Pavel] was a very social guy, he had a great sense of humor and he was fun to be around," Dangl told NHL.com. "He was a great personality and a Slovak legend. I think he deserves such tribute." The film is divided into three parts. The first is about Demitra's NHL career. A ninth-round pick (No. 227) of the Ottawa Senators in the 1993 NHL Draft, Demitra played in 847 regular-season games with the Senators, St. Louis Blues, Los Angeles Kings, Minnesota Wild and Vancouver Canucks. During his 16 NHL seasons, Demitra scored 304 goals and 768 points. Click on image for full-size billboard. The second part of the film shows his career with the Slovak national team from the separation of Czechoslovakia in 1993 to winning a bronze medal at the 2003 IIHF World Championship and finishing fourth in the 2010 Vancouver Olympics, where Demitra had a very strong tournament, with three goals and 10 points in seven games. The third part was recorded during a trip to the site of the plane crash, where Demitra's wife, Maria, was taken for the first time by the crew for the shooting of the documentary. The couple was married in 2002 and has two children, Lucas (born in 2003) and Zara (2005). "[Maria] refused to fly to Yaroslavl until we took her there for recording," Dangl said. "The trip was very, very emotional." The film was recorded in five countries: Slovakia, the Czech Republic, Canada, the United States and Russia. Many hockey players including retired NHL stars Peter Stastny, Jeremy Roenick and Keith Tkachuk, and Slovak players Zdeno Chara, Marian Hossa, Miroslav Satan, Michal Handzus and Lubomir Visnovsky, share their memories. Demitra was born in Dubnica Nad Vahom, close to the town of Trencin, where many Slovak stars, including Chara, Hossa and Marian Gaborik, learned to play hockey and became close friends. When Gaborik brought the Stanley Cup to Slovakia this summer, it was the fifth time in seven years that hockey's most coveted trophy visited Trencin. Demitra never won the Cup; the closest he got was the Western Conference Final with the Blues in 2001. Prior to the film's premiere, Demitra will be honored in a series of charity exhibition games in Slovakia. The first game will take place Aug. 20 in Poprad, followed by games in Trencin (Aug. 22) and Bratislava (Aug. 23). Demitra, the Lady Byng Trophy winner in 2000, was a hockey icon in Slovakia, well known for his accomplishments on and off the ice as well for his easygoing disposition. "I don't care where you are in Slovakia, you mention his name and everybody knows what he was and what he accomplished and what he did for the fans and for people," said Lubos Bartecko, Demitra's former teammate with the Blues and the Slovakian national team. Demitra would have turned 40 this November. "The plane crash was a shock for our country," Dangl said. "I think it touched people in Slovakia more than in any other country because of Pavol. The entire country was mourning. It was so spontaneous."